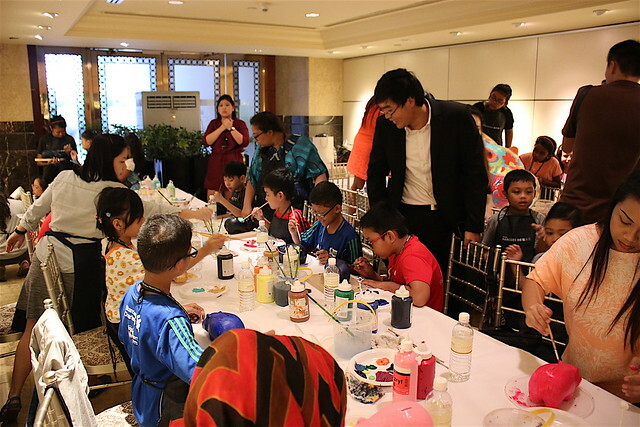 We had such fun last week at the Fullerton Hotel Hippo Charity Art workshop. 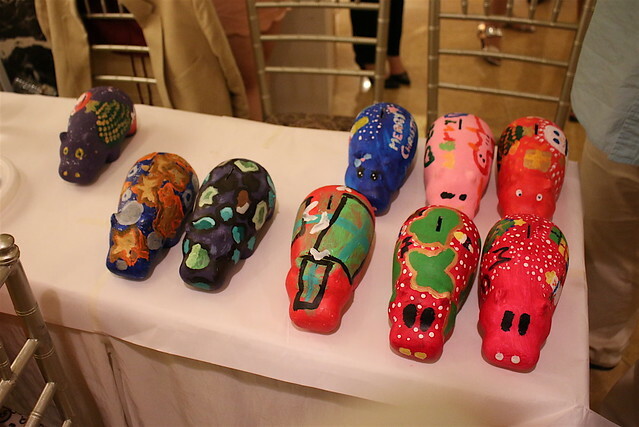 Thirty young beneficiaries from The Straits Times School Pocket Money Fund (SPMF) came together to paint papier-mâché hippos specially created by artists Arnaud and Adeline Nazare-Aga. 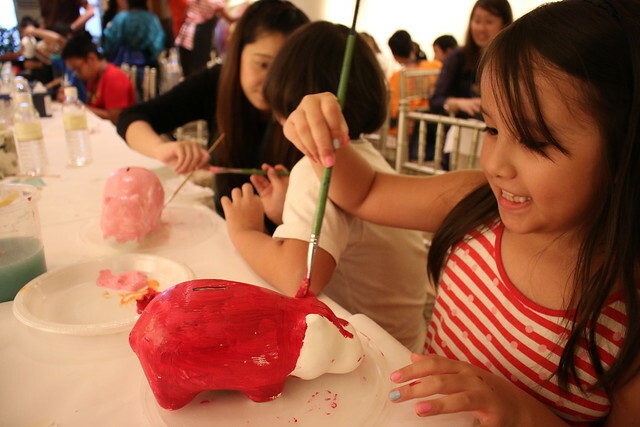 They also used their creativity to paint a giant sized papier-mâché hippo measuring 69 x 140 x 69 cm (approximately the size of a new born hippo) at The Fullerton Heritage Gallery. Guests are welcome to purchase the limited edition mini papier-mâché hippo which functions as a coin bank from The Fullerton Shop. Priced at S$50 each, every hippo purchase comes with an acrylic painting workshop sponsored by Studio Haroobee that runs on Friday (from 3.00pm to 5.00pm), Saturday (from 2.00pm to 4.00pm) and Sundays (from 2.00pm to 4.00pm) from Saturday, 28th November to Sunday, 27th December 2015. Full proceeds from the sale of the mini papier-mâché hippos will be donated to The Fullerton Hotel’s adopted charity - The Straits Times School Pocket Money Fund, to benefit children from low- income families. It was wonderful to see how each child transformed the white hippos into colourful art pieces. These are really cute. 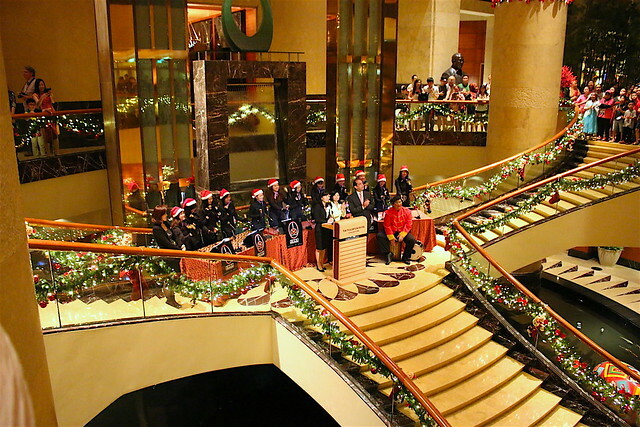 We also got to witness the Fullerton Hotel's Christmas Light-up ceremony. The hotel staff performed a candle-lit march-in to the tune of “The Little Drummer Boy”, performed by talented handbell ringers. 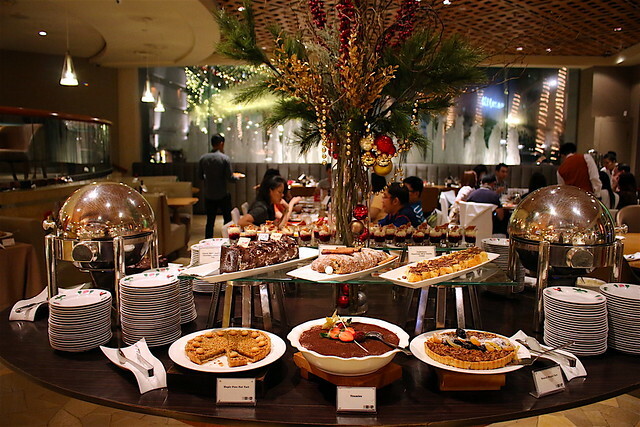 Guests were treated to complimentary festive goodies such as Glühwein (mulled wine), hot chocolate drinks and Christmas cookies. 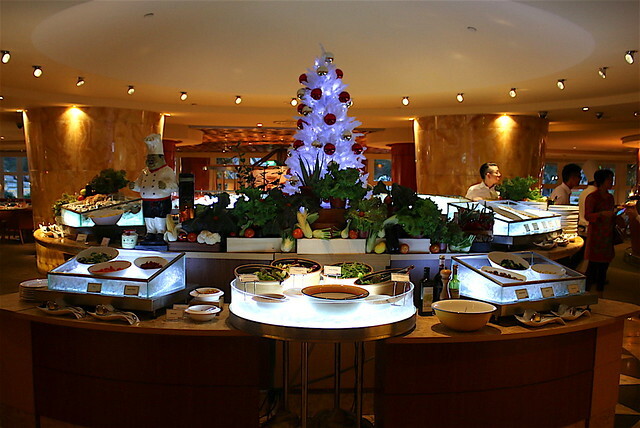 This was followed by the “Fullerton Chefs for a Cause” Charity Buffet Dinner at Town Restaurant. Mr Giovanni Viterale, General Manager of The Fullerton Heritage, donned Chef’s Whites and joined Executive Chef Sandro Falbo to serve Scialatielli Pasticcati e Provolone, a pasta cooked with provolone cheese and tomato sauce. If you've been to Town, you'll know the spread. 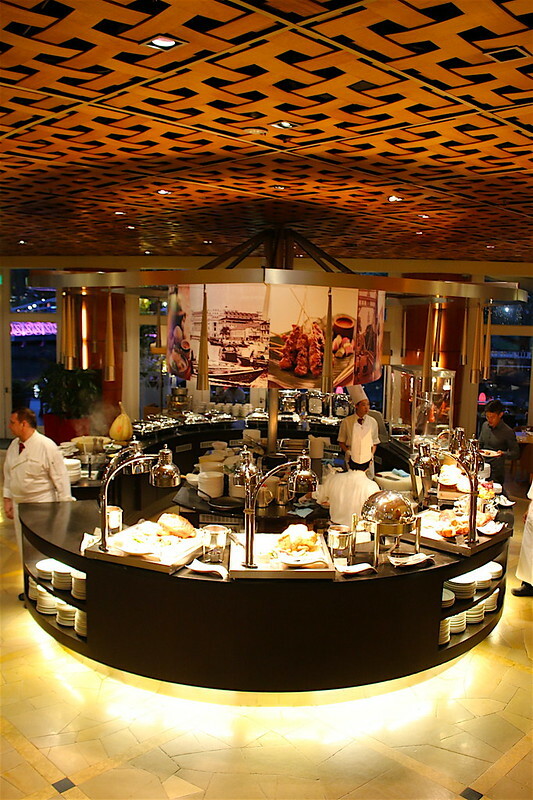 Greeting you upfront is the fresh seafood on ice and salad section. 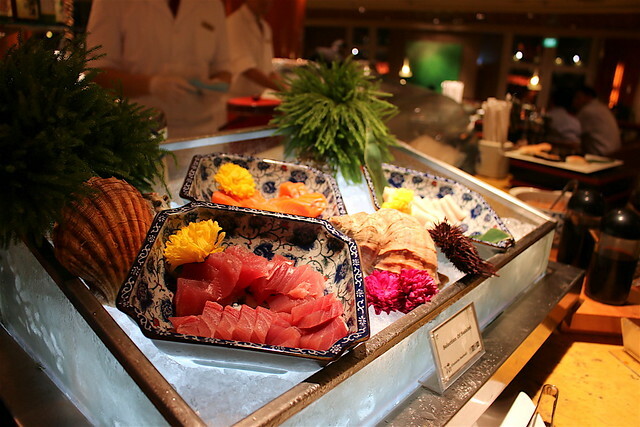 Japanese section with sashimi, sushi, cold soba, and miso soup is on the left. 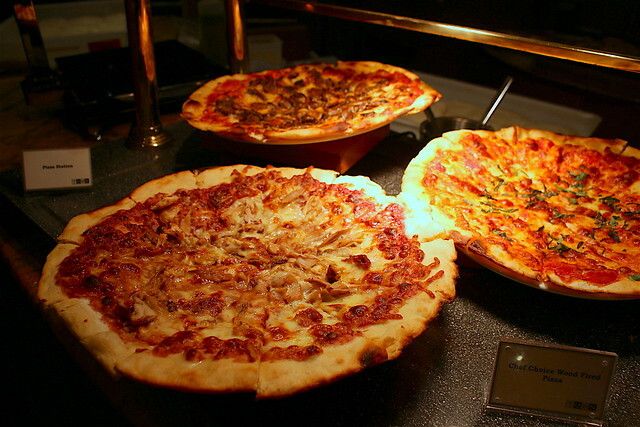 On the right, we have the pasta and pizza, along with the live noodles section which is actually pretty good. The mee rebus and laksa are potent versions of the street food favourites. 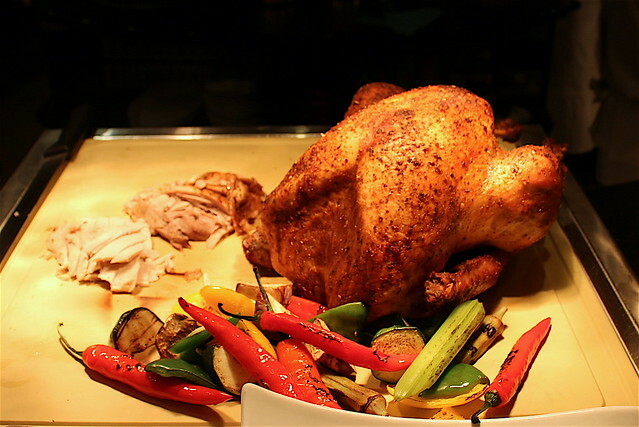 The buffet already features Christmas favourites like roast turkey. 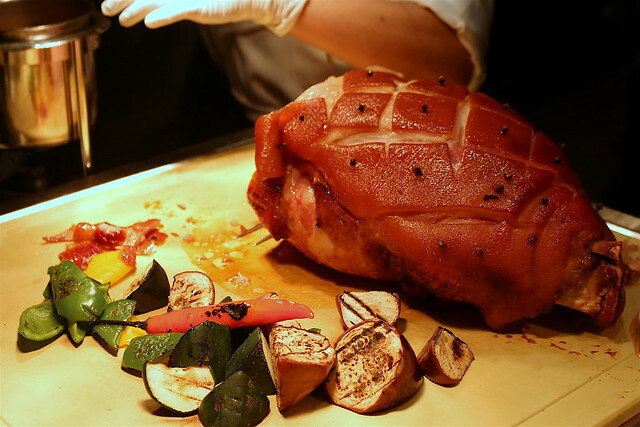 Also at the mains section is the Christmas Ham. But I find the Chinese roasts are one of the better highlights here. 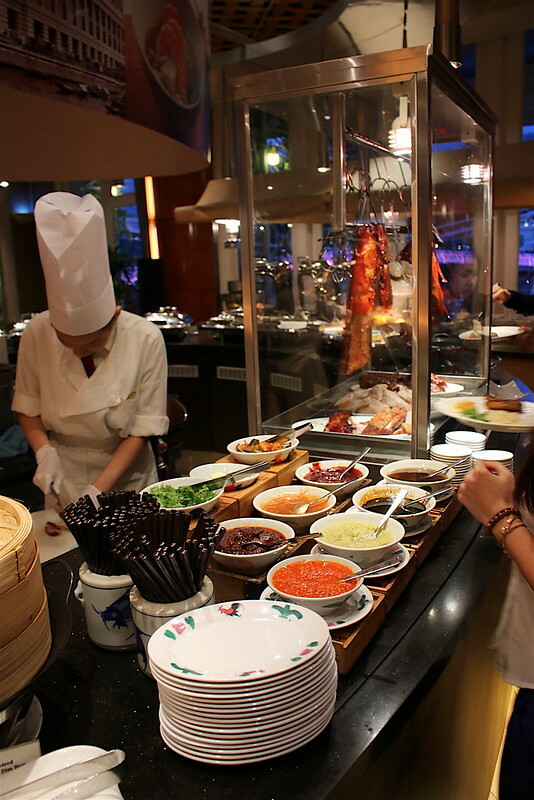 Roast pork belly and roast duck along with steamed chicken rice. 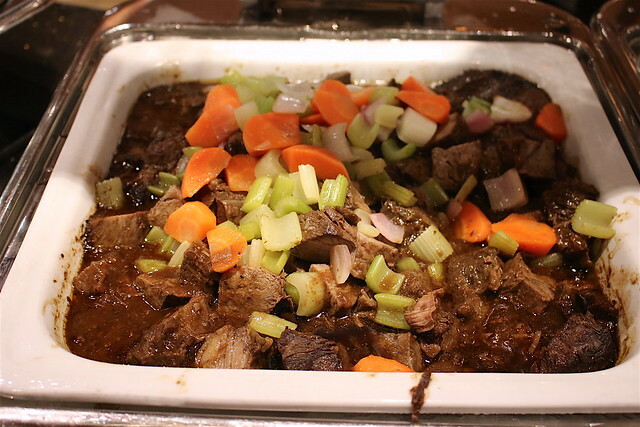 There are plenty of meaty hot mains like Guinness Stout Braised Wagyu Short Ribs, Slow Stewed Lamb Rump with Fava Beans, and BBQ Honey Ribs. 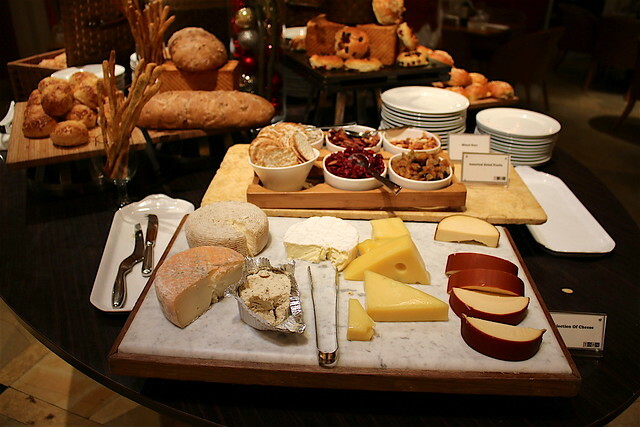 Breads and cheeses take up one table. Desserts take up another. There's also an ice cream station, and shaved ice station. 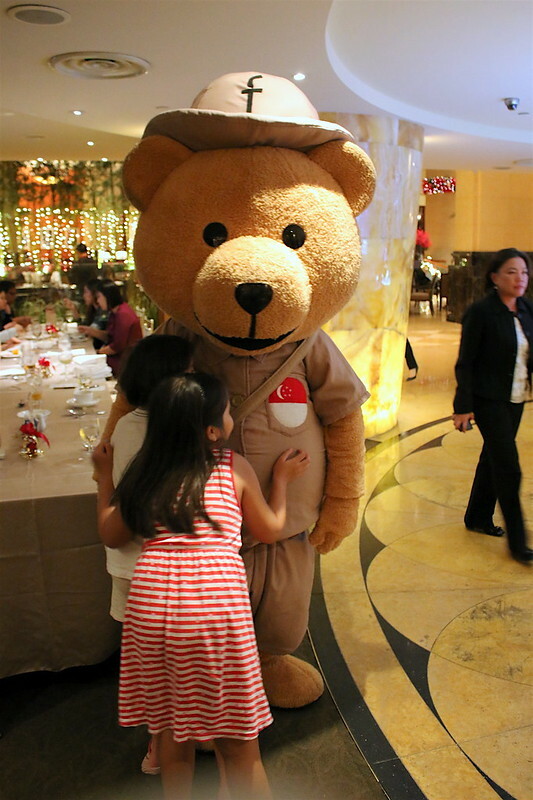 And the Fullerton Postmaster Bear comes to life to surprise us at the restaurant, capping an evening of fun, food and art for charity.